Gloria Steinem once said, "Every time a woman passes a mirror and criticizes herself, there's a girl watching..." Often as a role model for the young women and girls in our life we feel powerless as we struggle with our own body issues and acceptance. Yet, we are not unaware of the impact we can have on her developing self-image. The one thing I have learned over the years, whether it be in parenting my own daughters or in working with other women, is that our children see everything. So when we skip a meal, complain about our cellulite, compare and critique other women's bodies or say disrespectful comments about our own body, it is witnessed and taken in. These young girls watch us as we look in the mirror at our reflection, they hear us talking to others about our body dissatisfaction, they listen to how we receive compliments and are aware of how we feel about our bodies. Knowing this, it is important the we recognize that we need to change the way we are responding to our thoughts and self talk. We need to remember that our daughters see themselves through the mirror of our eyes. What we draw attention to about them and their body sends very strong messages. What we show them we value, whether it be a certain size, an age, or a hair color for example, they begin to use as their value system. If physical appearance is important to us, it will be to them. It means creating healthy boundaries between our own personal process with our body acceptance and what we say and how we react in these body standards. Positive self talk will be witnessed and embraced. Focus on other attributes that are not beauty related and have nothing to do with appearance, changes where you and she will place value. It takes time, it takes awareness, but in order to change the pattern of repetitive low self-worth and body shame, we have to start somewhere. There will still be plenty of messages passed on to our daughters about their beauty and their body through media and peers, but if our conversations with them focus on all that makes them so wonderful and unique, things will begin to change. If we can model to them acceptance and grace with our body, celebration of how it serves us and appreciation of all body types, the message will be loud and clear. So where to begin? For starters stop talking and talking and talking about the latest diet. Try to send good healthy messages about your body through words and activities. Stop the negative talk about your body or anyone else's. Listen to the way she talks about her body and have conversations with her to help her see it from a more positive perspective or to share why she feels that way. With making some of these changes in your relationship with your body and with your daughter, you will begin to see changes both in your body awareness and in her developing self-concept of her beauty and her body image. 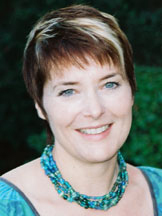 To learn more about Body Image Coaching, visit me at www.womenwithinsight.com.